What is Blogger Navbar? Navbar here means Blogger Navigation bar which usually appears on top of blogger default templates. Blogger icon takes you to the Blogger.com. If you've already signed in, then it will take you to the Blogger dashboard. 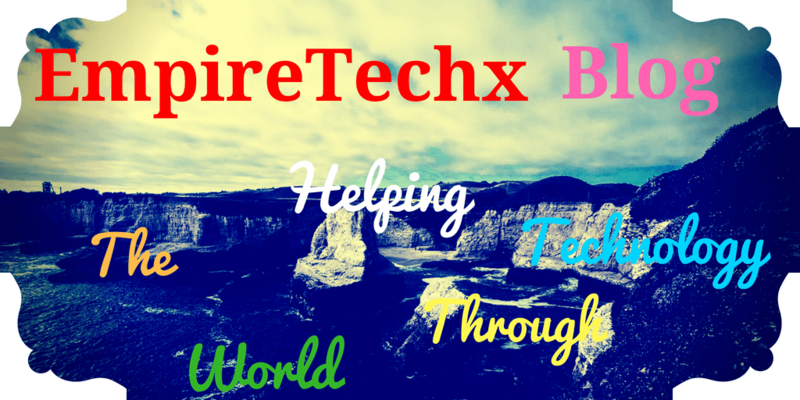 Next Blog - takes you to the recently updated Blogger blog. Search field - used to search the contents of the current blog. New post - opens a new post window. Design - takes you to the Template section. You can see the sharing options such as Google plus. You can sign in and out to blogger dashboard using the Navbar. Some custom blogger templates hides the Navbar on default but they are left to appear on some other templates. So we will look at how to either remove or hide the Navbar from appearing on your blog when somebody visits it. To achieve this we are going to apply manual tricks using 4 different methods. But before we proceed on how to remove or hide blogger navbar first your advised to backup your blogger template. Click "Off" and click on "Save" button. And add this code just above it. 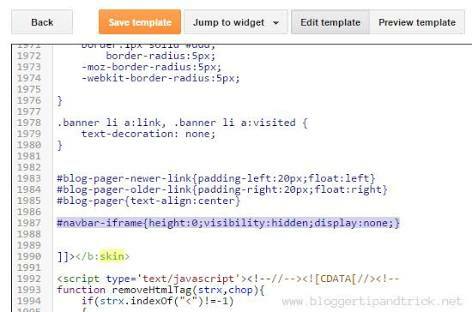 3: Go to Blogger Template > Customize > Advanced > Add CSS. Click on "Apply to Blog" button. Read Best simplest way of removing Powered by Blogger Attribution on Blogger. How to remove locked widget from Blogger. Select and remove all those lines. I hope this tutorial help you out if it does, do like, comment and share this post thanks.